Donald Duck's character profile for Kingdom Hearts 3. 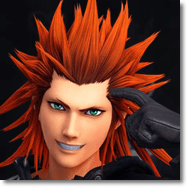 Included in his profile are some of his previous adventures in the past Kingdom Hearts games. Often seen as the comic relief in the series, Donald Duck is a short-tempered Magician. He is adept at casting spells and fiercely loyal to his friends. As one of Sora’s faithful and trusted companions, Donald Duck is sure to be with him and Goofy in Kingdom Hearts 3. Donald Fire 2 – Launch a ball of fire at the enemy. Donald Blizzard 2 – Launch a chunk of ice at the enemy. Fire Boost 4 – Deal 20% more damage with fire attacks. Damage Syphon 3 – Recover MP each time you take damage. MP Haste 3 – Recharge MP 10% faster when you run out. Team Attack Extender 3 – Extend the availability period of team attack commands. In Kingdom Hearts Birth by Sleep, Donald Duck is with Goofy at the Mysterious Tower. They were there in support of Mickey Mouse, who is undertaking his Mark of Mastery exam under Yen Sid. Following a series of events in the story where Donald Duck and Goofy encounter Ventus and Aqua, Yen Sid mentions to Goofy and Donald about Mickeys whereabouts and that he is in danger. Both Goofy and Donald prepare to go to the Keyblade Graveyard, but Yen Sid advised against it. 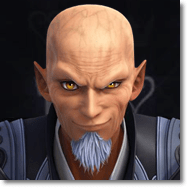 He states that they are no match for Master Xehanort. The end of the game saw Donald and Goofy looking on as Mickey relinquishes the Star Fragment and his Keyblade. Yen Sid returns the weapons to Mickey Mouse, stating that he had earned them, much to Goofy and Donald’s elation. 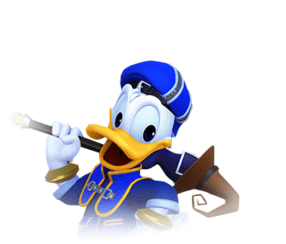 In Kingdom Hearts, we see Donald Duck acting as Mickey Mouse’s Royal Magician. Donald goes to see King Mickey but is shocked to discover that he is nowhere to be found. He then finds Pluto holding a letter that explains Mickey’s absence. Donald looks for Goofy and tells him that King Mickey has instructed them to find another Keyblade wielder in the other worlds. Their travels led them to Traverse Town, where they look for Leon. However, the Heartless suddenly attack. They meet Sora in the ensuing battle. After the fight, they ask if Sora wants to join them find Mickey Mouse. Sora tells them that he is also looking for his friends, Riku and Kairi. Donald and Goofy agree to look for Sora’s friends and thus set forth on a long journey. Sora, Goofy, and Donald travel many worlds, slay countless Heartless, defeat various villains, seal Keyholes, and meet new friends on their voyage. Their adventures lead them to Hollow Bastion. Here they face Riku, who is possessed by Ansem. 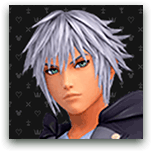 Riku reveals that he is also a Keyblade User. A battle ensues between Riku, Sora, and Maleficent. After, Donald and company find a prone Kairi, whose heart has been taken. Sora learns that Kairi’s heart has been within his own. Sora tries to free her heart by stabbing himself in the chest with Riku’s Keyblade. Sora succeeds in freeing Kairi’s heart but is then transformed into a Heartless. A possessed Riku reappears and tries to eliminate Kairi. The real Riku’s conscience fights with his possessor, Ansem, though, which allows Kairi, Goofy, and Donald to escape. As they leave the Hollow Bastion, one Heartless seems to be following them. Donald tries to vanquish the Heartless, but Kairi tells them that it is Sora and revives him. All four of them escape the Hallow Bastion afterward. Sora, Goofy, and Donald rally and storm their way back to the Hollow Bastion. They seal the Keyhole which was opened by the seven princesses. They then proceed to enter the End of the World, home of the Heartless. They battle Ansem on the remnants of Destiny Islands. After defeating Ansem, Sora and company try to seal the Door to Darkness to no avail. Riku and King Mickey suddenly appear to aid them. King Mickey is seen wielding the Keyblade of the Realm of Darkness, and, with Riku’s help, closes the Door to Darkness from the inside. After this, the worlds turn back to normal. The trio harks back to what King Mickey said, “there will always be a door to the light.” They then see Pluto with another letter in his mouth. They examine it and find out that it is from King Mickey. This excites them, and they prepare for yet another adventure to rescue Mickey and Riku. In Kingdom Hearts: Chain of Memories, Sora and company investigate the Oblivion Castle. Upon entering, they have their skills stripped from them by a mysterious figure who turns out to be Marluxia. After Sora relearns how to fight, he finds Goofy and Donald and continues to investigate the castle. While inside the castle, they realize that they are having trouble recalling their past adventures. Donald particularly has a hard time recalling Hollow Bastion and what happened there. It turns out, their memories are being manipulated by Naminé. The trio also encounters Organization XIII and its members Axel, Larxene, and Vexen. A number of battles see Sora and company uncover what Castle Oblivion is as well as Naminé’s role in chaining and erasing memories. As they battle the members of Organization XIII, Sora and the others begin to slowly lose their memories. This culminates in a fight between Marluxia and the trio. After besting Marluxia, Naminé leads them to the Memory Pods where they can sleep while Naminé restores their memories. Goofy and Donald go inside the Pod first. Sora follows after speaking with Naminé. Donald Duck and Goofy are mostly asleep during the events of Kingdom Hearts 358/2 Days. He, along with Goofy, shows up in Roxas’ dreams of Sora. 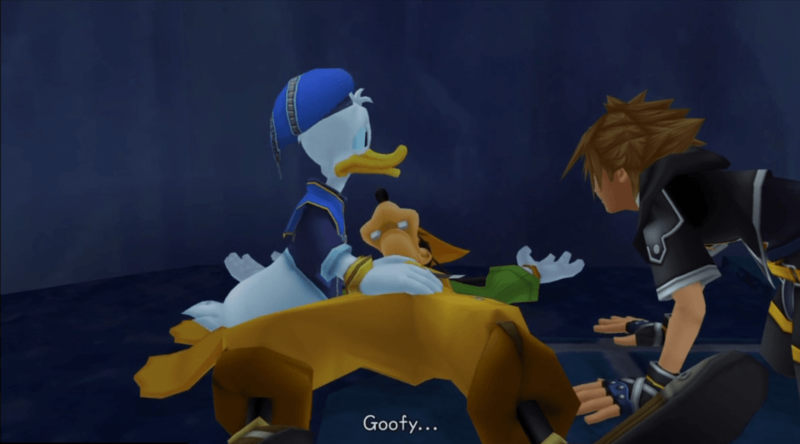 In Kingdom Hearts II, Donald and Goofy were the first ones to wake up, thanks to Roxas. Sora wakes up soon after and they reunite once again to look for Mickey and Riku. Upon entering Twilight Town, Sora and company encounter Hayner, Pence, and Olette. Afterward, a group of Nobodies attacks them at the train station. They are saved by King Mickey, who sends them off to the tower of Yen Sid. The three then go from world to world, looking for Riku and King Mickey. They are aided by the clues left by King Mickey and are eventually reunited with him. However, King Mickey instructs Goofy and Donald to leave him and look for Riku and Kairi as a swarm of Heartless moved into their location. Sora, Goofy, and Donald do not listen, opting to help out Leon and the others. This leads to Goofy getting hit on the head by a boulder that was intended for King Mickey. Thinking that Goofy has died, Mickey and Donald furiously charged the Heartless head-on. After defeating them, they are all relieved as Goofy regains consciousness. Donald, along with Sora and the others, goes to the digital version of Twilight Town to confront Xemnas. They battle it out and assist the other characters through a portal opened by Naminé. However, Xemnas is able to close the portal, leaving Sora and Riku to fight him. After Xemnas’ defeat, Donald and the others are reunited back on Destiny Islands. After saying their goodbyes to Sora and company, Donald, Goofy, and King Mickey return to Castle Disney where Daisy, Scrooge McDuck, and the others are eagerly waiting for them. Kingdom Hearts coded sees Donald Duck with Goofy and King Mickey trying to decode the mystery behind Jiminy’s Journal. He, along with Goofy, help Data-Sora in solving the Journal’s secrets. In Kingdom Hearts 3D: Dream Drop Distance, Donald is seen alongside Goofy and King Mickey in the Mysterious Tower. Upon learning that Maleficent has taken Queen Minnie hostage, Donald, Goofy, and King Mickey rush back to Castle Disney. Once there, they speak with Maleficent about Master Xehanort and she demands that Mickey give his collected data in exchange for Queen Minnie’s life. Mickey refuses and is beaten down by Maleficent’s magic. Lea appears and is able to assist them, forcing Pete and Maleficent to retreat. A dream version of Donald Duck surfaces when Sora and company go into the Country of Musketeers. This version of Donald is a cowardly musketeer who is in charge of Princess Minnie’s safety. Eventually, Musketeer Donald is able to overcome his fears and saves the kingdom with his friends. 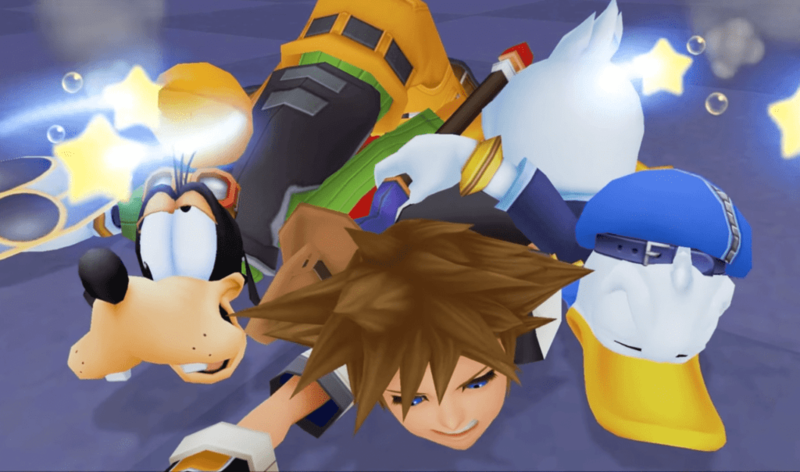 Donald and Goofy help save the captured Riku and Sora when they knocked down Xehanort’s Guardian. After going back to the Mysterious Tower, Riku enters Sora’s heart to free his friend and succeeds.